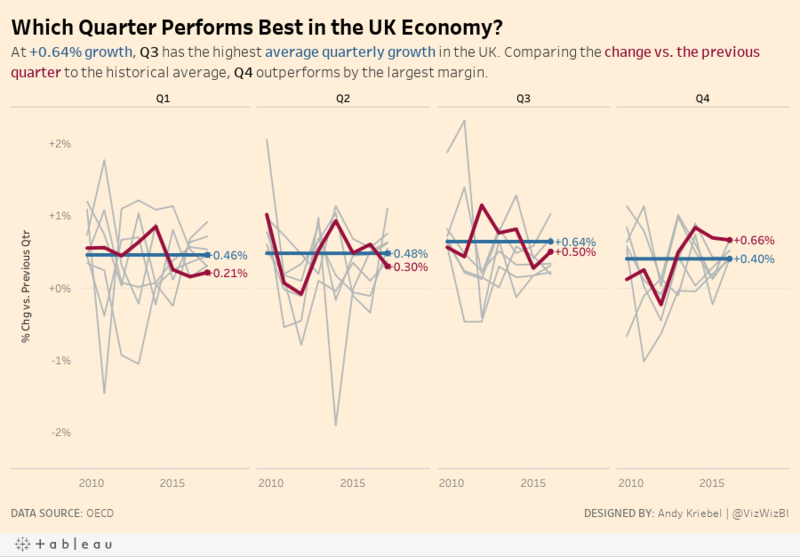 Makeover Monday: Which Quarter Performs Best in the UK Economy? The title tells me what the viz is comparing. The article that was part of references Brexit, but this timeline doesn't show pre- AND post-Brexit vote. Including a longer time range would be more useful to understand the long-term trends. There are extra tick marks on the time axis, making it look sloppy. Include a % since and an axis title. I had to go back to the subtitle to get that. Use a more impactful title and subtitle. The source article has plenty of sentences they could have used instead. I wanted to understand how each quarter performed by year, not year by quarter. This will allow me to see historically which quarter performs the best. 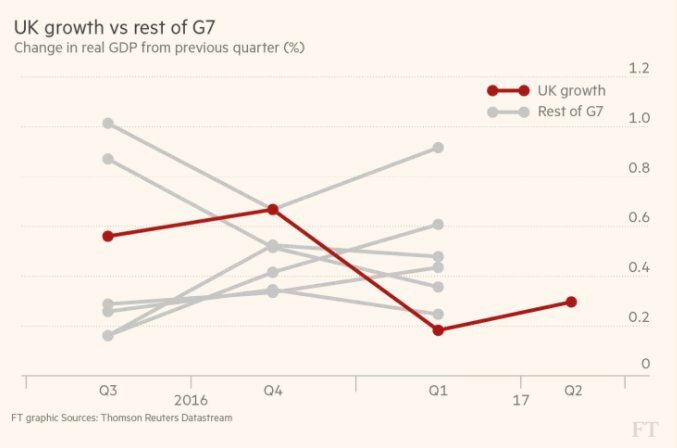 Keep the other G7 countries in the background for reference, but don't actually refer to them. With those goals in mind, here is my Makeover Monday week 40.